An operation against illegal immigration into the Republic of Ireland has led to eight people being deported to the UK. 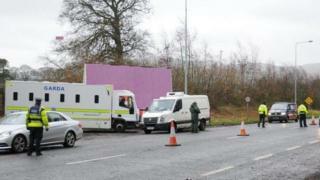 Irish police carried out the operation last Monday near the border at County Louth. The police said that eight foreign nationals were returned to the UK as they were in breach of immigration offences. It is understood several different nationalities were involved. The eight people had made their way across the border having travelled from Britain to Northern Ireland. Eleven vehicles were also seized by Irish police.